A maze that changes every time you play! Players must navigate through the maze with the attached stylus, pushing open movable gateways while avoiding traps and dead ends! 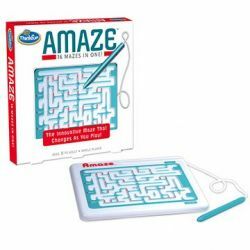 An innovative twist on a classic maze puzzle, Amaze's diabolical shifting pathways change the solution path during play! 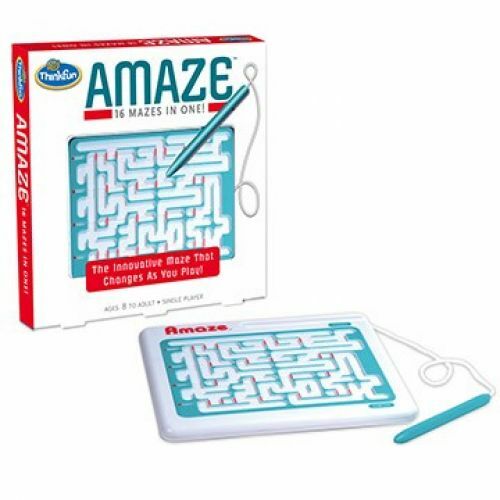 With 16 unique challenges and no pieces to lose, Amaze is the ideal travel game!